Price for Damavand Private Tour will be estimated for fixed and particular tours when all the necessary information are given. We don't have a general purpose price list. We organize a wide range of quality tours to Mt Damavand Iran for different climbing levels. The cost of a trip is mainly depended to some factors such as the Timing, Itinerary, number of participants in a group, the required Logistic, type of hotel and the type of your tour package. The main and important factors are the itinerary and number of participant in your team, as the number increase, the cost per person will decrease significantly. so we can offer you the accurate prices when the exact number of your team is known. Therefore it is recommended to clarify in what time of the year you decide ascending Damavand, fix your program and itinerary, and let us know more details such as the exact number of your team, arrival day and logistic you need so we can give you the best quotation. In off-season such as spring, autumn and winter, when there is still winter condition in the area, you need a high skilled experienced guide, in addition because of too much snow and ice on the route, mules are not able to go up to third Camp3 Bargah Sevom 4200m, so porters should carry your extra gears up, these will increases the total costs. But immediately when the season changes and the weather gets warmer some prices decrease significantly. 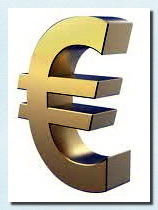 1- When transferring money, do not mention the name of Iran, please just mention Trekking Tour. 1- Any change in timing, itinerary, the required logistic and number of the participant will affect the cost and the price per person of your team. 2- Private tours are fully tailor made and recommended for foreign climbers. 3- Climbing tour to Mt Damavand gets more expensive as the climate changes towards the Winter and cold weather condition, so a summer itinerary is cheaper. Tour 2015 Mt Damavand Iran trekking and climbing. Custom designed hiking and mountaineering tours. Qualified mountain guides to support incoming tours. Damavand Tour Cost. Damavand Tour Cost and Price. damavand tour cost, damavand tour, damavand tour cost and price, damavand price, damavand cost per person, damawand estimation, damavand fee, damavand trekking tour cost, iran climbing tour price, damavand ski touring cost, damawand cost per person. Know Damavand Iran before you go. Essential info for hiking trekking and climbing. Ascend to the summit with the most experienced Iranian mountain guides. Climb Damawand Iran. Hiking trekking, mountaineering, ski and snowboard. Mountain climbing expedition tours 2015, outdoor activity and adventure tour organizer. Iran Sightseeing ecosystem and outdoor tourism activities. Tour operator for special interest tours. Visit remarkable Damavand mountain by guided tour 2015. Necessary Information for ski mountaineering and snowboarding, natural beauties, sightseeing and landscapes of Iran. Climbing tour organizer, tailor made guided tour. Hiking & trekking mountaineering, mount climbing, rock and boulder climbing tours. Ski and snowboard tour organizer. Package tour for curious explorers, active adventurers. Experience of scaling the highest volcano in middle east. Outdoor tourism and eco tourism natural attractions. Demawand mountain expedition tour. Summer and winter touring and tourism. Wissen Damavand Iran, bevor du gehst. Wichtige Infos zum Wandern Trekking und Klettern. Steigen Sie auf den Gipfel mit den erfahrensten iranischen Bergführer. Climb Damawand Iran. Wandern Trekking, Bergsteigen, Ski und Snowboard. Bergsteigen Expedition Touren 2015, Outdoor-Aktivitäten und Abenteuer-Reiseveranstalter. To Register your tour, it is necessary to pay 50% of your total cost to our account as deposit 30 days prior to starting date unless otherwise specified. 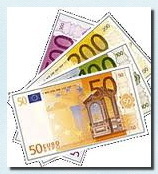 And pay the remaining 50% balances in cash in Euros on the first day of the tour. Clients whose balances are not received by the 30-day deadline as stated above, risk forfeiture of their place on the expedition. Read also Disclaimers. If you need help to fill the form please see the example below. Deposits are not refundable in case of any cancellation. Visit also Terms of Payment. We don't want to be harsh, just want to be transparent in our words hope you understand us. There is a second chance to use your deposit. If we organize your next trip either for sightseeing or mountaineering tour to Iran in the following year, we may consider the previously paid deposit as your registration fee for the future travel by our mutual agreements. In case of any cancellation or postponement, a cancellation notice should be send at least 30-days prior to the course, trek and/or expedition date so we will keep the full deposit for your next program. There would not be any second chance if you send your cancellation notice later.The requests must be asked by email and be received in our office within the period, as stated above, ie 30-days prior to the trek.